I have more than 3 yrs of experience in website design and development. 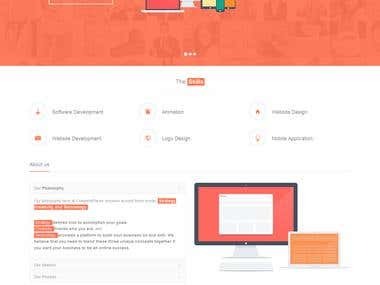 I use Php, Photoshop, Dreamweaver, HTML, CSS, JS, Jquery, Bootstrap to develop stunning websites.I completed a four year bachelor of engineering in IT from GTU University. I have been a freelancer and a member of for 4 years. I am committed to providing quality design services to customers at a reasonable price. Feel free to chat if you have any questions about your projects.